The similarities show how the studies complement each other: The laboratory captures important global features of reconnection and the spacecraft documents local key properties as they occur. The observations made by the Magnetospheric Multiscale Satellite (MMS) mission, which NASA launched in 2015 to study reconnection in the magnetic field that surrounds the Earth, correspond quite well with past and present laboratory findings of the Magnetic Reconnection Experiment (MRX) at PPPL. Previous MRX research uncovered the process by which rapid reconnection occurs and identified the amount of magnetic energy that is converted to particle energy during the process, which gives rise to northern lights, solar flares and geomagnetic storms that can disrupt cell phone service, black out power grids and damage orbiting satellites. The previous MRX findings served as guidelines for measurements taken by the MMS mission, which seeks to understand the region in which the reconnection of field lines in plasma — the state of matter composed of free electrons and atomic nuclei, or ions — takes place. The latest PPPL experiments extend the findings to new areas of agreement. “Despite huge differences in the size of the reconnection layers in the MRX and in space, remarkably similar characteristics are observed in both,” said Masaaki Yamada, principal investigator on the MRX, and lead author of the recent paper reporting the results in the December 6 edition of Nature Communications. ” Electrons. 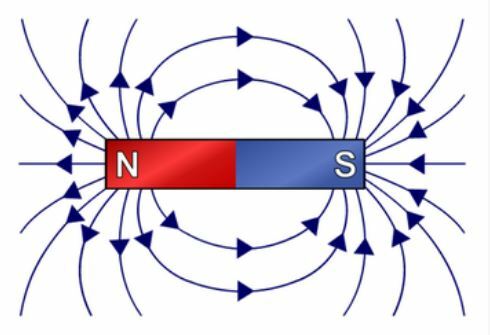 The experiments demonstrated that electron current flows perpendicular, and not parallel as once thought, to the magnetic field. This flow is key to the conversion of magnetic energy in electrons that occurs in a narrow boundary layer called the ‘electron diffusion region’ where rapid reconnection takes place. The finding is consistent with the recent MMS space measurements and new in the laboratory for asymmetric reconnection. The right-hand rule was a well established concept before I went to college in the 70s. Maybe I’m an old dinosaur, but the paper sounds to me like they’re still very much wide of understanding what’s going on with charge flow and how it produces magnetic field gradients. I love the “explosive reconnection”. Fortunately, we now have instruments sensitive enough to detect these explosions – or don’t we? JB – yes, I thought the right-hand rule was part of the basics too. Dec. 6, 2018: A large hole in the sun’s atmosphere is facing Earth and spewing a stream of solar wind in our direction. Last month, the lashing commenced on Nov. 9th, lasted for almost 3 days, and caused sharp tremors in the geomagnetic field. “Tremors in the geomagnetic field”…. The earth shivering, I suppose. It is getting colder after all…. I’m not a adherent of the EU cosmology, but occasionally Dr Scott does make some sense.